I have seen many changes in our world during my lifetime. Technology in every arena has advanced in unbelievable ways. Things that once would have been considered science fiction is now commonplace. Medical discoveries have enabled people to live longer. Life expectancy for men and women has almost doubled since 1900. Travel that could take days, weeks, even months can now be accomplished in a matter of hours. We can do more, live longer, travel faster and farther. Our present situation is similar to where the people of Israel found themselves so long ago. God provided amazing blessings for them. Their desires became their masters. God is not against us. He is in the business of redeeming and restoring. I wrote last week about the story of Naomi in the book of Ruth. How despite her mistakes she did the best thing she could do, she returned home, turned back to her God. And despite her mistakes, God blessed her and restored all she had lost. The only hope for us and our nation is to do as Naomi did. Return to God, confess and turn away from our sin. 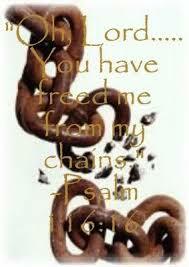 Previous postEncourage One Another-When things don’t go well..
Our only freedom comes from God. Until we return to Him we will continue to see decline. Thanks for the reminder. I am working my way through the story of Elijah and his big showdown with the prophets of Baal. It’s amazing how similar what we see to day is to what was going on then. Now, as then, maybe it only takes those willing to step up in order to make a difference. Also, I’d like to repost this some evening if that is ok? Great post. I think you are right Cliff. Who is going to step into the gap today, though? Do we have some Elijahs? Thank you, that was very well said. Thank for visiting and following my blog, and for the encouragement. Excellent word! It edifies and encourages. Thank you our to the encouragement and for following my blog.